Up forsale is a set of forgestar f14's in titanium silver. Asking $2100 They are 19x9et35 and 19x11 et 23. 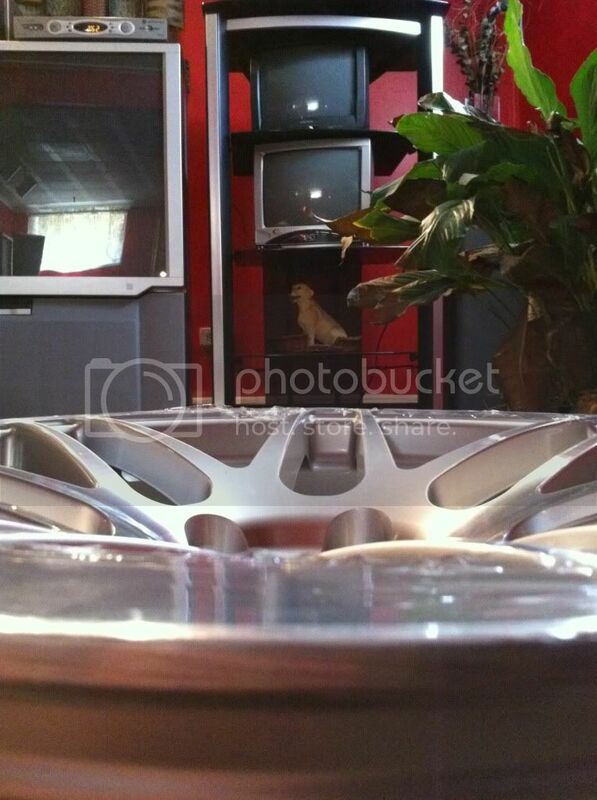 They are wrapped in Hankook ventus v12 255/35/19 front and 305/30/19 Rear. These probably have around 200 miles on them and I paid 2400 for the set a few months ago. Forgestars in this fitment take a few months to get finished so someone who doesnt want to wait this would be great. If you have any qestions post up or P/m me. Last edited by jhstealth; Sun, Nov-14-2010 at 06:38:50 PM. 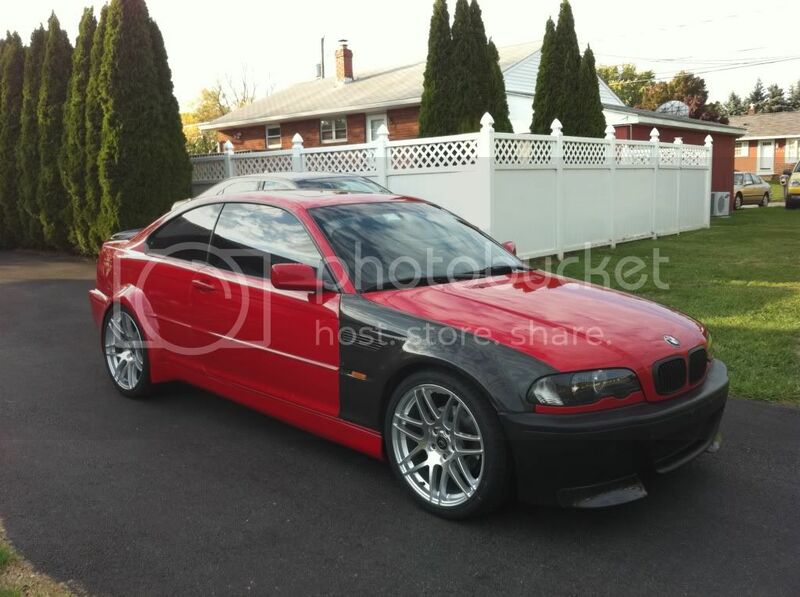 will also trade for 18in ccw classics or other interesting 18in wheels in similar or slightly more agressive fitment. its tempting because I am local. And it seems as though you are on top of a parking lot thats pretty familiar, Einstein Hospital? ur rear tires are HUGE! do they rub at all? Nice wheels! Running the same widths and they're pretty light too! 24lbs for the front and 25lbs for the rear. 305's fit but you NEED rolled/cut fenders and lots of neg camber! GL with sale! Liacouras centers parking lot . Cheaper chassis, I paid 6.5k and its a very clean car with no rust, cracks etc.. just higher mileage which didnt matter. 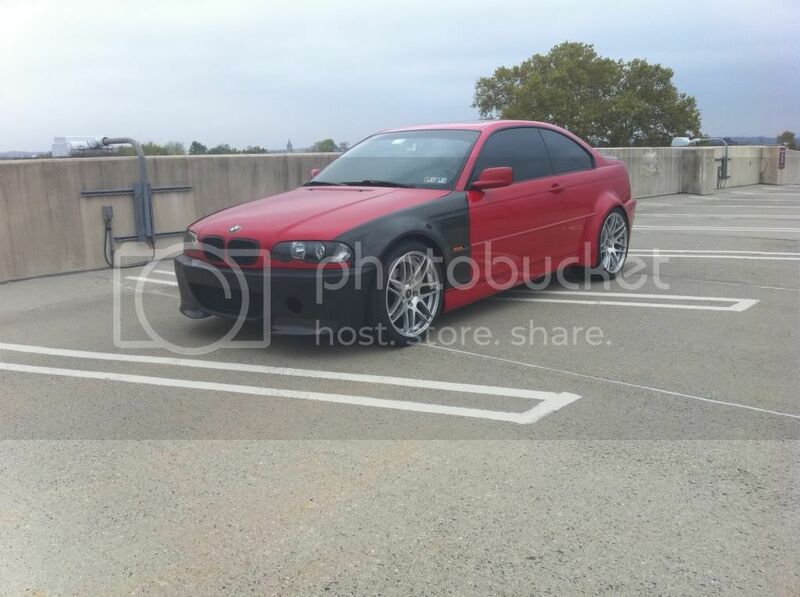 My intentions are to put an s62 in it with a custom diff, wanted the car widened, was going to hafta swap out the trunk and front bumper and diffuser anyway. And im also picking up alcantara pole positions with red stitching and re-wrapping the interior with alcantara with red stitching. So theres not much left of the m3's distinguised parts. They barely rub on the outside very rarely. But its mostly because the widebody was built around an 18in wheel with a stretched tire and the cars on stock springs with bilstein shocks. This is why im selling them already as I want to get some 18in x12 (ccw classics ideally) and run 315's on them with perfect fitment. but we shall see. I am open to other wide 18in trades. Thanks, yea they are definitely light for their size, I didnt know that 305's would fit with work thats good to know. Thanks allot man!! Thanks for the offer but oem Wheels wont fit this car . $2000 Theyre basically brand new so its like saving $400 and 3 months of build time. I cant go any lower at this time. All times are GMT. The time now is 06:39:08 AM.